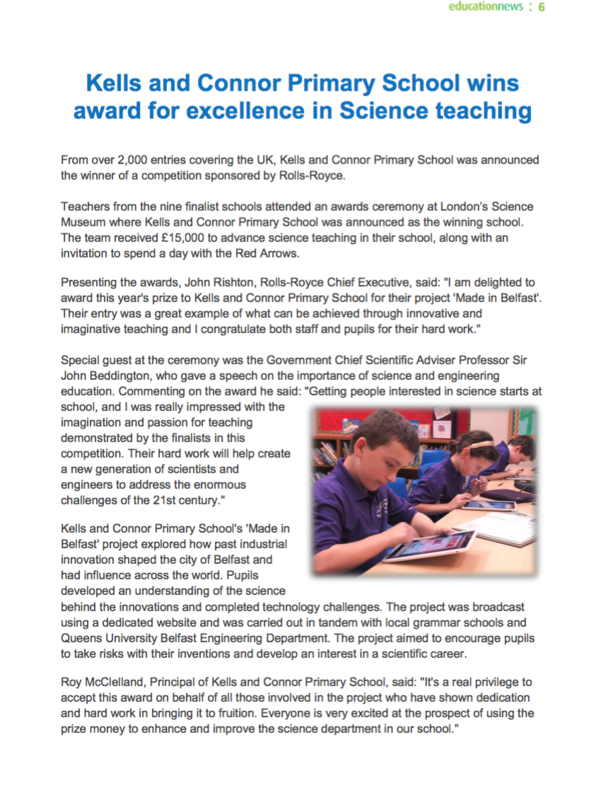 Presenting the award, John Rishton, Rolls-Royce Chief Executive, said: "I am delighted to award this year's prize to Kells and Connor Primary School for their project 'Made in Belfast'. 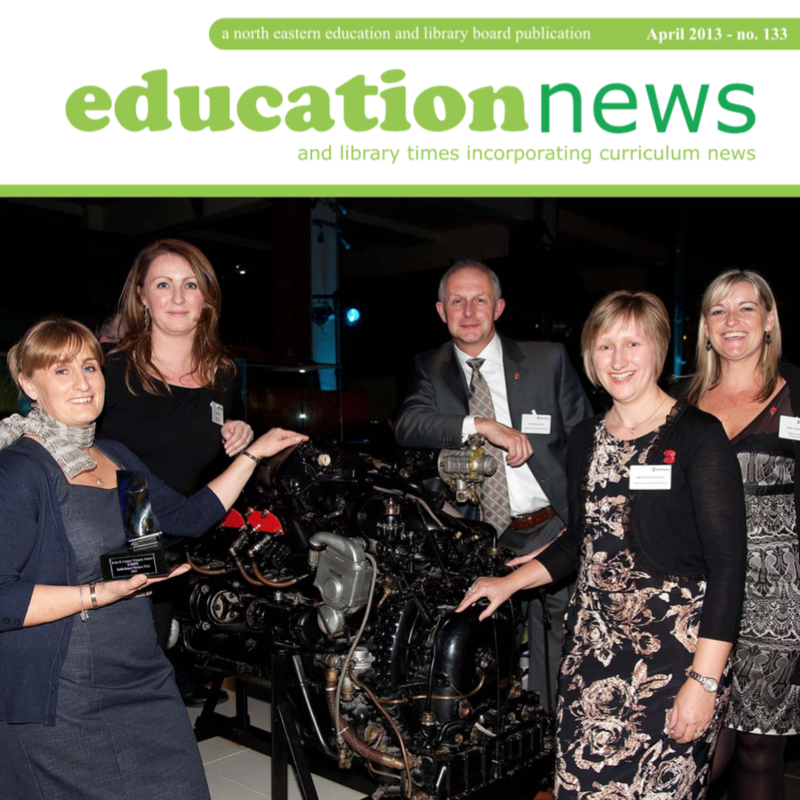 Their entry is a great example of what can be achieved through innovative and imaginative teaching and I congratulate both staff and pupils for their hard work." Science Investigations from Roy Mc Clelland on Vimeo. 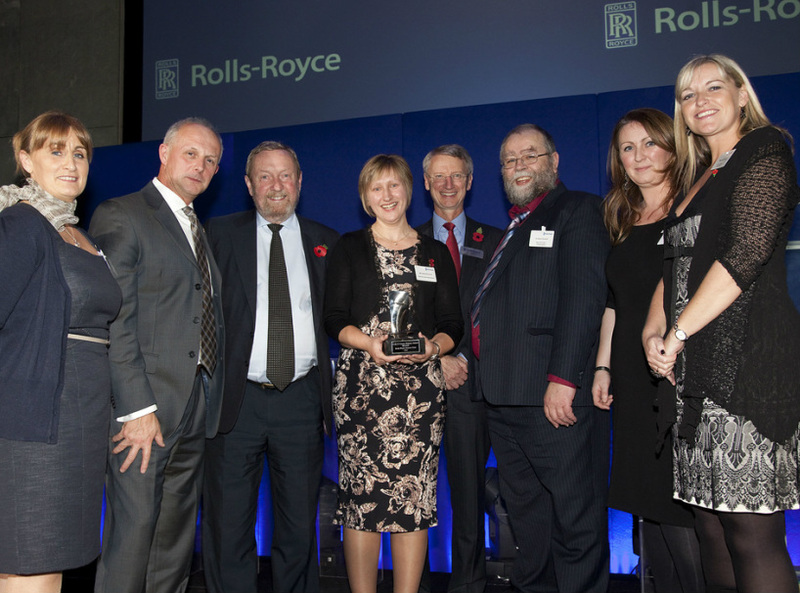 Staff attending the Rolls Royce Science Awards in London.